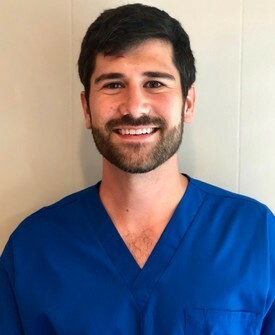 Dr. Robertson grew up in west Tennessee and attended Rhodes College in Memphis, TN graduating with a degree in Neuroscience. Following her education at Rhodes she attended the University of Tennessee College of Dentistry. During dental school, Dr. Robertson was a leader in the student dental association focusing her time as the Community service chairperson. 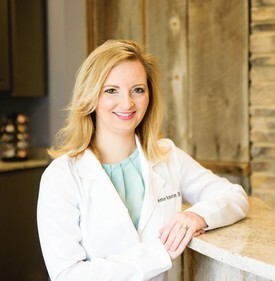 She is a member of the Chattanooga Area Dental Society, the Tennessee Dental Association, the Academy of General Dentistry, and the American Dental Association. Locally she is active in the Chattanooga Women's Leadership Institute. Dr. Robertson loves spending time with her husband, daughter, and pets. They currently live in Ooltewah and are huge fans of the Atlanta Braves and the Memphis Grizzlies. Dr. Ryan Tutor received his bachelor's degree in Biology at the University of Tennessee at Chattanooga. He received his dental degree from the University of Tennessee in Memphis. He now practices in Dayton, TN and lives in Chattanooga with his wife Christina.